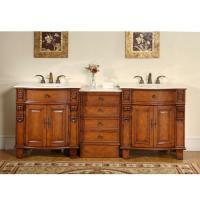 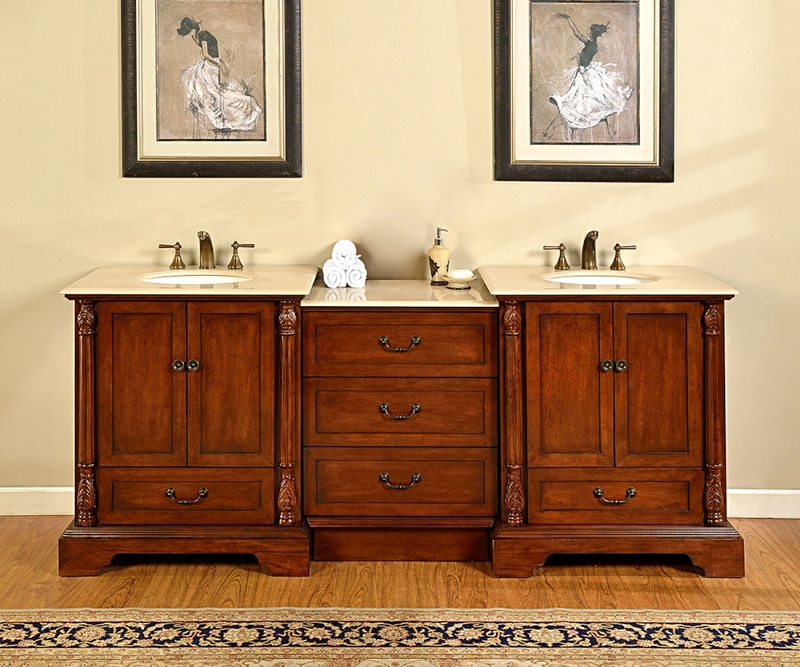 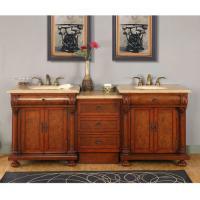 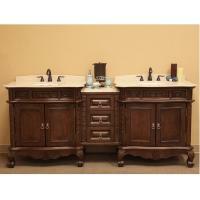 This large double sink vanity will add lots of style and great functionality to the bathroom. The bank of drawers in the center adds storage space to the two double door cabinets and two drawers. 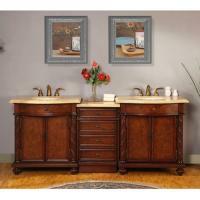 The light cream marble counter top enhances the warm tone of the walnut finish.